For Autumn Winter 2017, Christopher Kane presents its Safety Buckle ‘DEVINE’ Bag and ‘HIGH-TOP’ Sneaker in 6 tonal colour ways. For the first time ever, all styles will be available to purchase direct from the catwalk on Monday February 20th. Each Devine Bag also comes with its own ‘anorak’; made from an Italian lightweight technical parachute’ nylon. 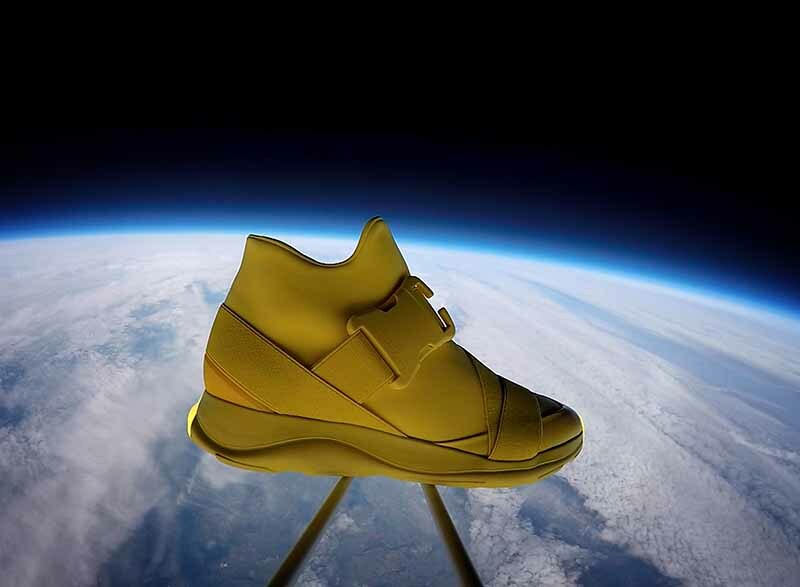 To celebrate the release of the Safety Buckle ‘Space’ Collection, and the brand’s desire for discovery and exploration, a Devine bag and a High Top Sneaker were physically sent into Space. The launches were executed on February 6th, from Ashbourne Derbyshire, and landed approximately 3 hours later and within 120 miles from launch. 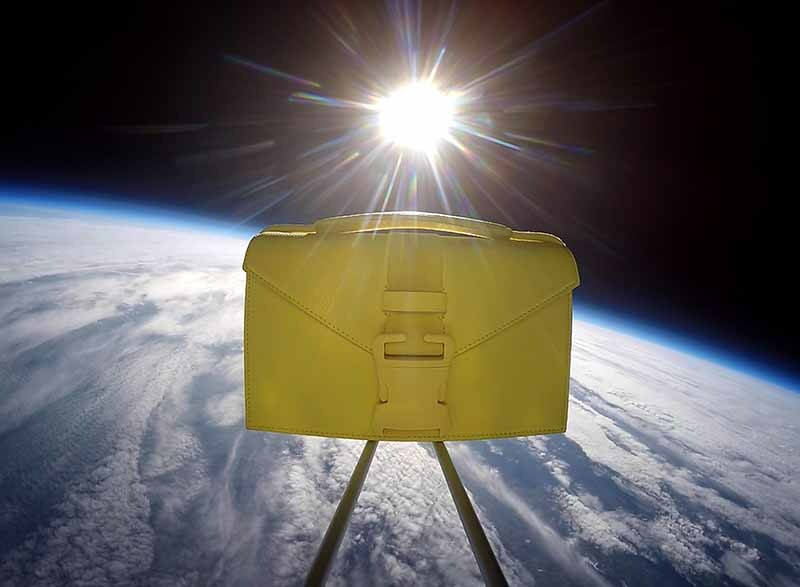 The bag and shoe reached altitudes of up to 38km above the Earth, experiencing pressures approaching 0% of that at sea level, with temperatures going down to minus 64 Degrees Celsius. All styles are available for purchase directly after the AW17 fashion show held on February 20th in the brand’s flagship store on Mount Street in London, and its global e-commerce site christopherkane.com, as well as select International retailers including Selfridges, Style.com, Shinsegae, The Webster, Banner, Unger and Tasoni.